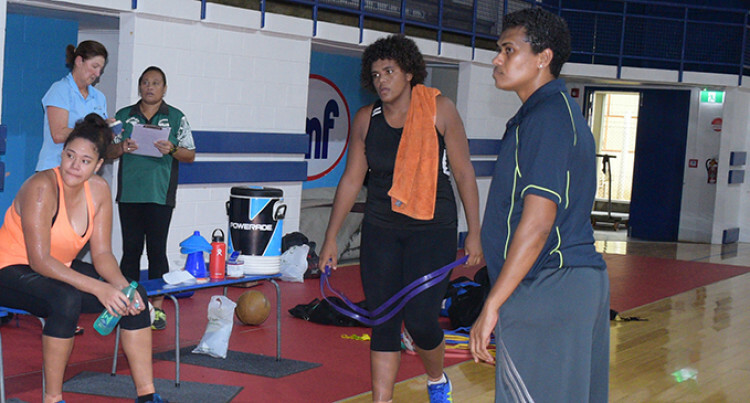 The former Pacific Sprint queen, who is now the Oceania Sports Edu­cation Programmes (OSEP) co-or­dinator and development officer for the Fiji Association of Sports and National Olympic Committee (FAS­ANOC), will prepare the Pearls for Netball World Cup in England on July 12-21. Fijian Pearls head coach Vicki Wilson believes Bulikiobo will add an extra boost to the squad. “We are really fortunate to have someone of Makelesi’s calbre as our strength and conditioning coach,” Wilson said. “She has done a fabulous job work­ing on the girl’s technique identify­ing the various movement patterns that’s required for our game. “It’s all about acceleration, decel­eration a quick change of direc­tion, that’s where the power comes in as well. Makelesi has worked alongside me to attend court work,” she said. The 41- year old Nadamole, Wai­levu East, Cakaudrove native set a record in the 100metres (11.55 secs) and 200 metres (23.22s) at the 2007 Pacific Games which still stands. Former Australian Diamonds de­fender Demelza Fellowes has also stepped in to assist with the Fijian Pearls defence. “Demelza has done some specialist work, it’s lovely to have her around, so she’s looked after the defenders, she’s been working on key funda­mentals on defensive stands and. “It allows me the opportunity to focus on our attackers. “To have Makelesi and Demelza on court is an absolute bonus,” Wilson added. Fellowes is currently the market­ing and sponsorship manager for Fiji Rugby Union.